Join Scotty, Sam and Aaron for Ten Junk Miles with Jean Lenard and Adam Benkers. Jean and Adam both finished the Kettle Moraine 100 Mile race June 4, along with Sam. The first 100 mile race completed by all three! They are also joined by Eric Skocaj who recently was the only finisher at the Endurance Society 888K challenge. Sam's single and the guys want to play dating game. There are a few tangents. Kat's Kudos and so much more! Take a long run with Sam and Bonnie Busch, AKA Bonnie Badass. 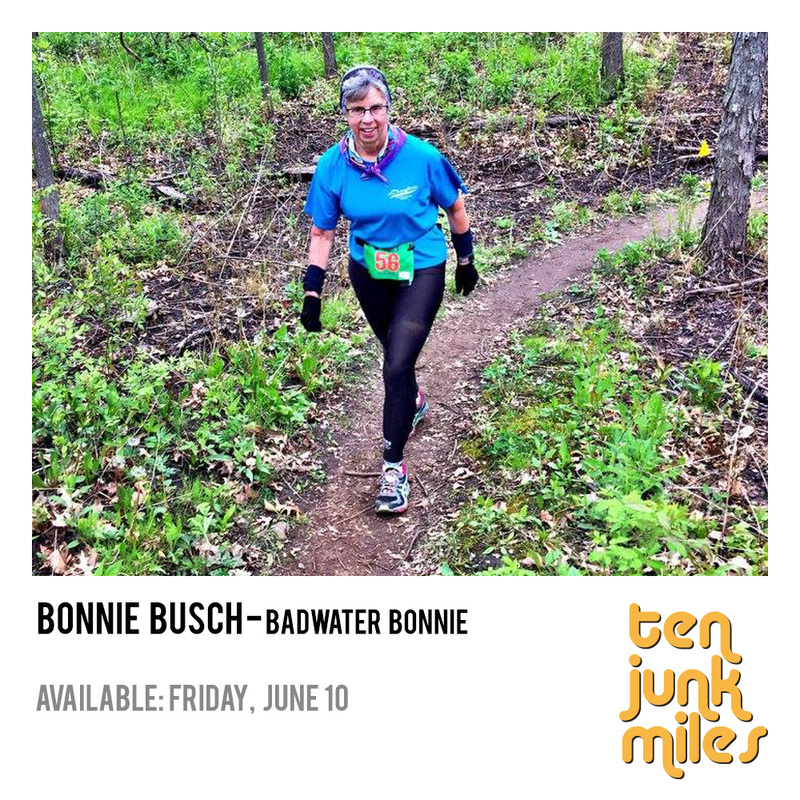 Bonnie is a legend in the Midwest Ultramarathon community, having tackled it all-- from Badwater to Arrowhead. She most recently won the Potawatomi 100 Miler, and earned her 1,000 mile buckle. We talk about how she got into running, and advice she has for young females just getting into the sport. Scotty, Sam, and Bonnie dive deeper into the world of Winter Ultras-- a TJM favorite topic. Join Scotty, Aaron, Tony, and Sam as they sit down with ultrarunner and photographer Scott Laudick. We talk running, including Laudick's 2015 Georgia Jewel 100 finish, and bad race photos. We also get into a debate about the now infamous TJM Beer Bong Ice Age Aid Station. Other topics discussed include: Aaron's continued foray into cycling, Kat's Kudos, Scotty's upcoming trip to Africa, and Sam's willingness to let the guys make her an online dating profile.